Gislingham Playgroup started in 1972 in the village hall and is run by a committee made up of parents/carers past and present. The playgroup offers a safe and stimulating environment and gives each child generous care and attention due to our high ratio of adults to children. We offer a wide range of activities including a safe and secure garden for year round use. The children benefit from our new purpose built pre-school with dedicated areas for role-play, cooking and snacks, mark making and numeracy. 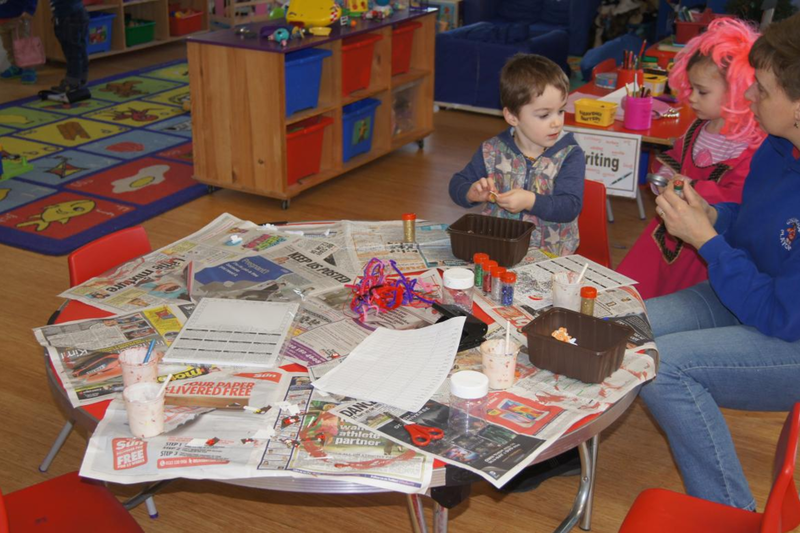 The children take part in a wide range of activities including painting, cooking, play-dough, sand and water play, role play, collage, construction toys, writing, maths and science skills and the use of our own computer and I pads. Through all these activities children will experience having to take turns with others, resolve differences of opinion, group conversation and learning to share and work together. The Pre-School has a well equipped fenced outside play area. We pride ourselves on the sensory garden and seasonal growing plants. The children enjoy watering the plants and vegetables. This area helps them to learn about living things and how nature works. Our building is on one level, accessible to all, with an accessible toilet area.